We have just a few finishes to flaunt this month. As a guild, we have numerous projects in the works and I suspect that our members are working to get their portions completed or are still recovering from this week’s QuiltCon registration frenzy. Don't forget to flaunt YOUR finish at the end of this post! Amanda L. has really wanted to get around to making some decorative items for various holidays and use up her scraps. Amanda designed this beautiful “Stars and Stripes Table Runner”. “It’s the first of, hopefully, many more fun, fast and scrappy holiday projects”. You can get the FREE pattern by visiting Amanda’s blog The Cozy Pumpkin. Jana put the finishing touches and binding on this quilt. For those of you who remember, yes, this is the quilt top that was already pieced and she saved from an uncertain future. 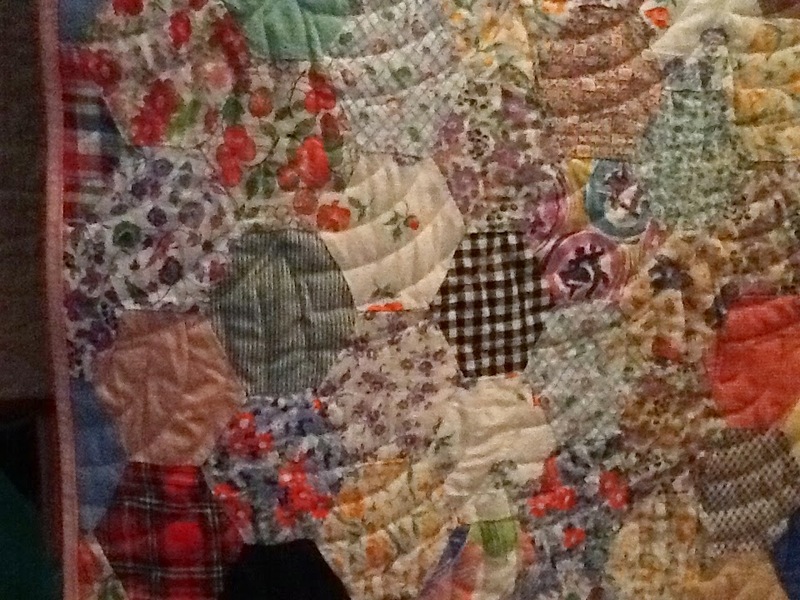 We still love her amazing quilting! 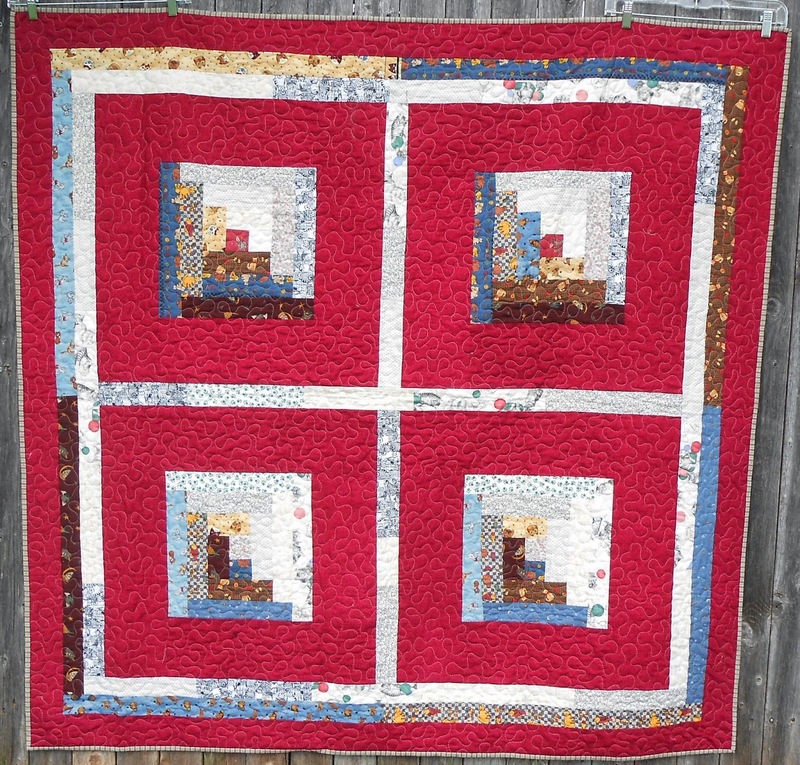 Regina used 4 traditional log-cabin quilt blocks that she discovered buried in her stash to make this great quilt for her husband for Father's Day. 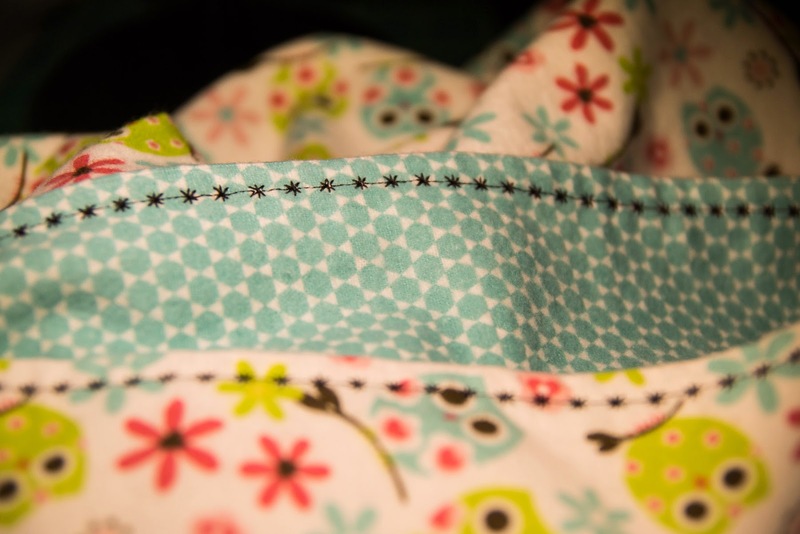 "The blocks (and cat print fabrics) are so old, that I’m calling them ‘vintage’! 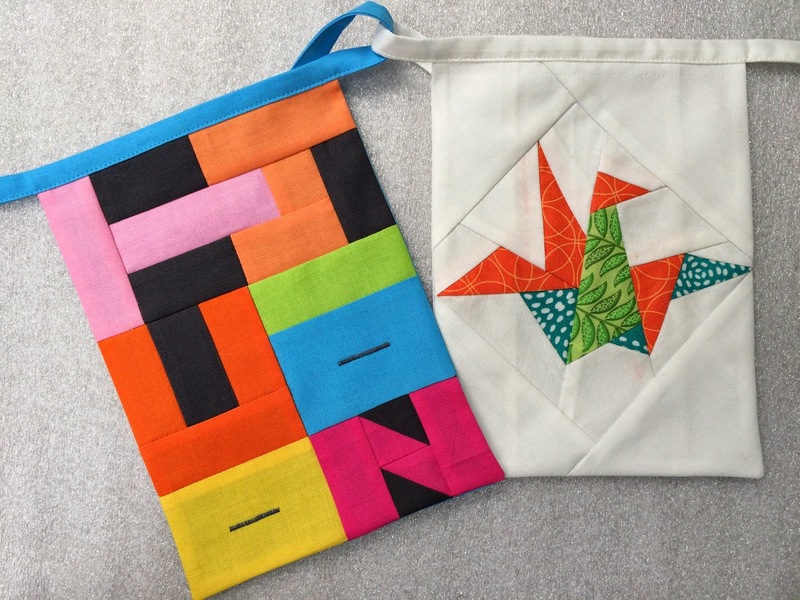 Had so much fun turning these traditional quilt blocks into a modern lap quilt. Hubby and our cat, Libby, both love it." You're next! Flaunt Your Finish by linking up your blog of Flickr page below!